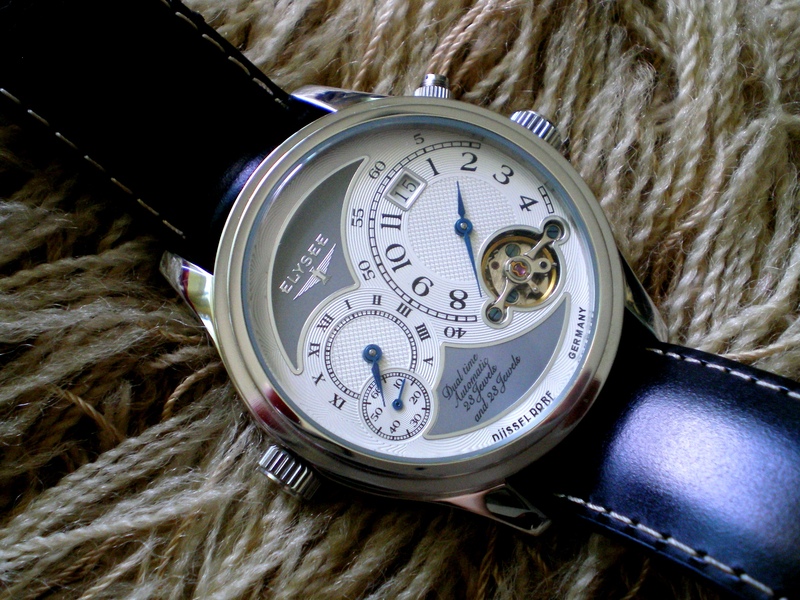 Made in Germany, this mechanical piece consists of two micro-rotors in the moments, each driving seperate time zones. 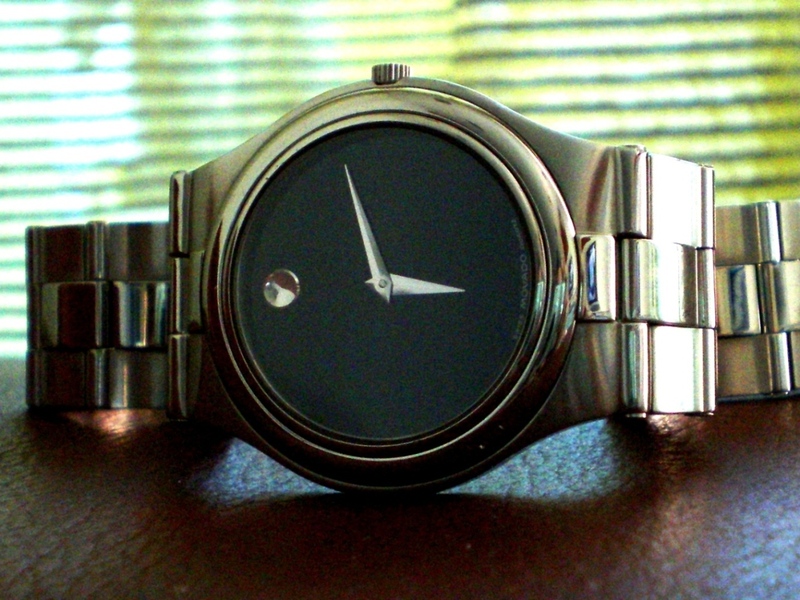 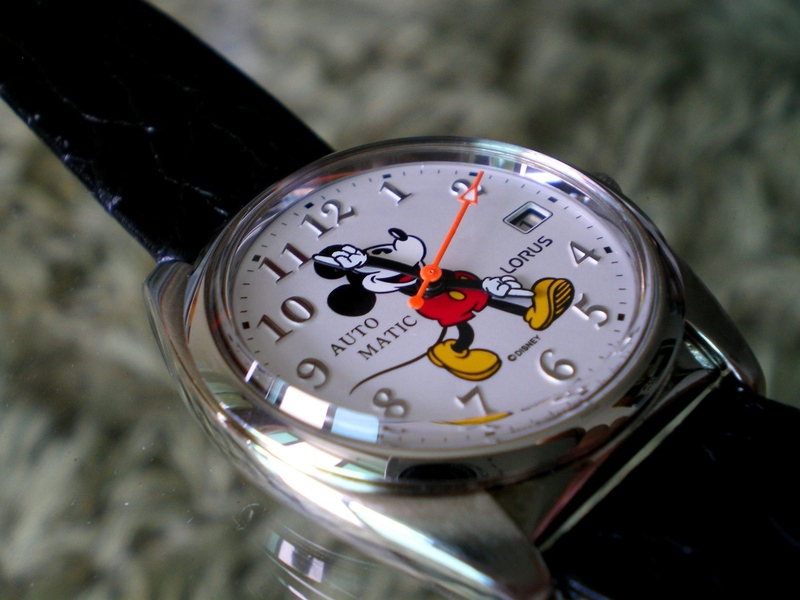 Enjoy the the watch’s classic look in these pictures. 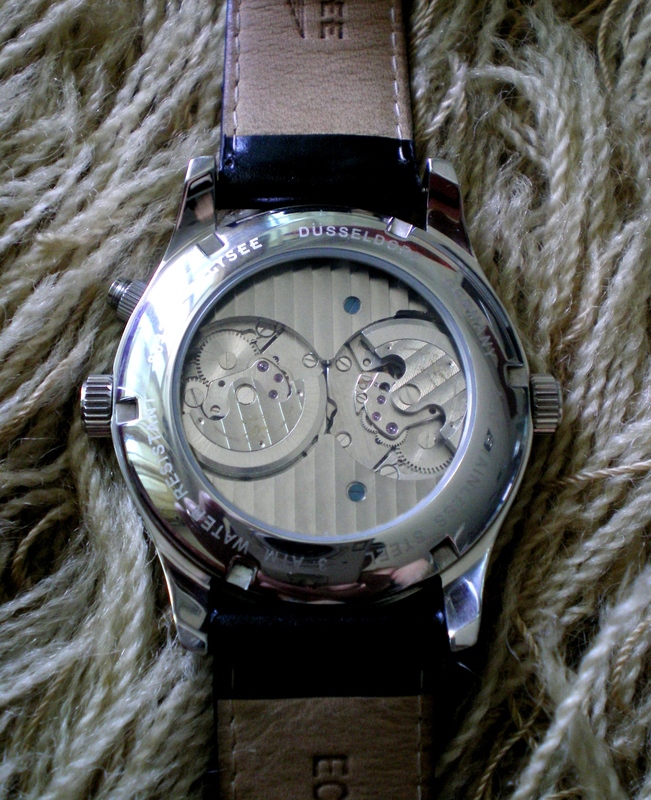 Dear readers, here are two pieces of unique wrist watch for your viewing. 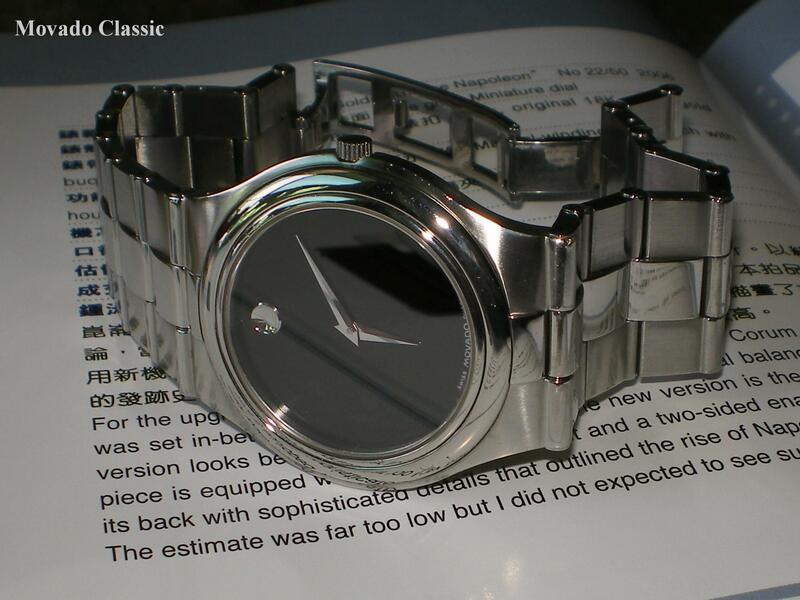 One is the classic Movado “Museum Watch” and the other, equally attractive first generation TechnoMarine chronograph with mother of pearl watch dial. 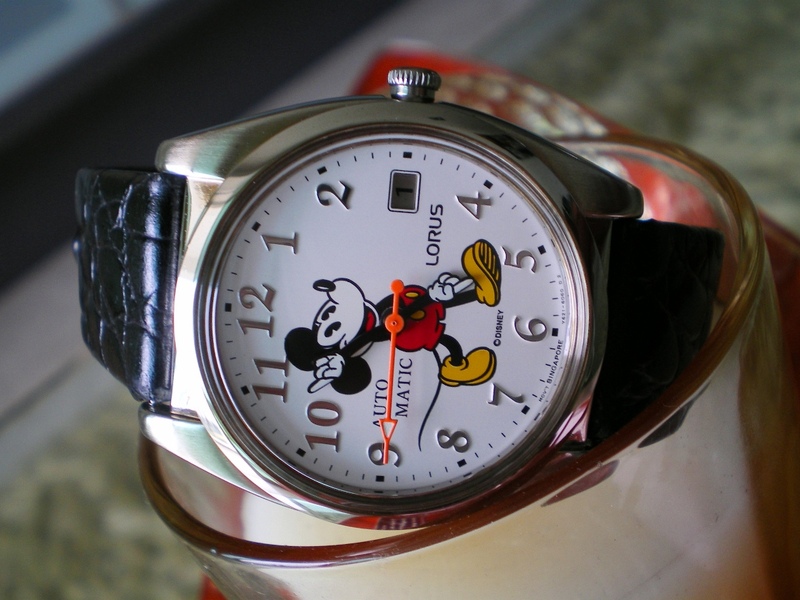 NOT all the Micky Mouse watches are authorized by Disney Land. 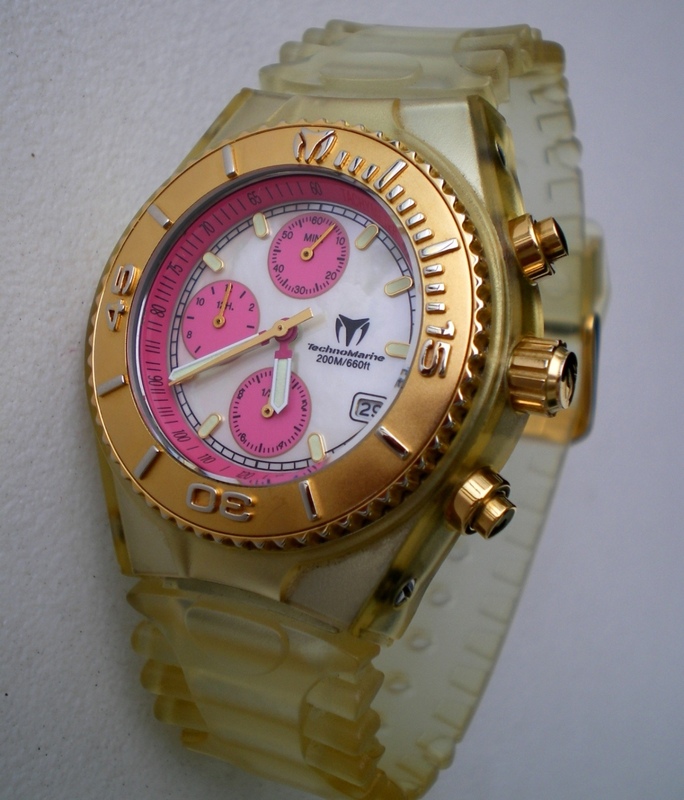 This one is. 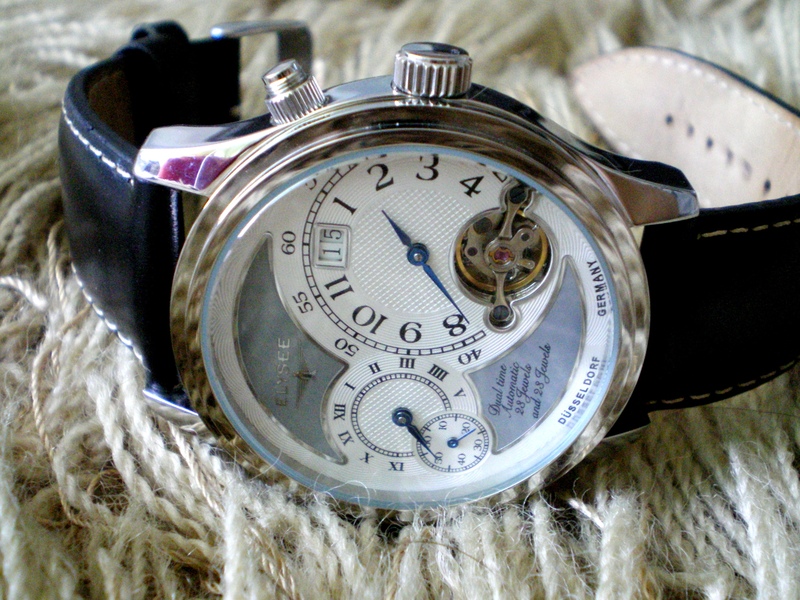 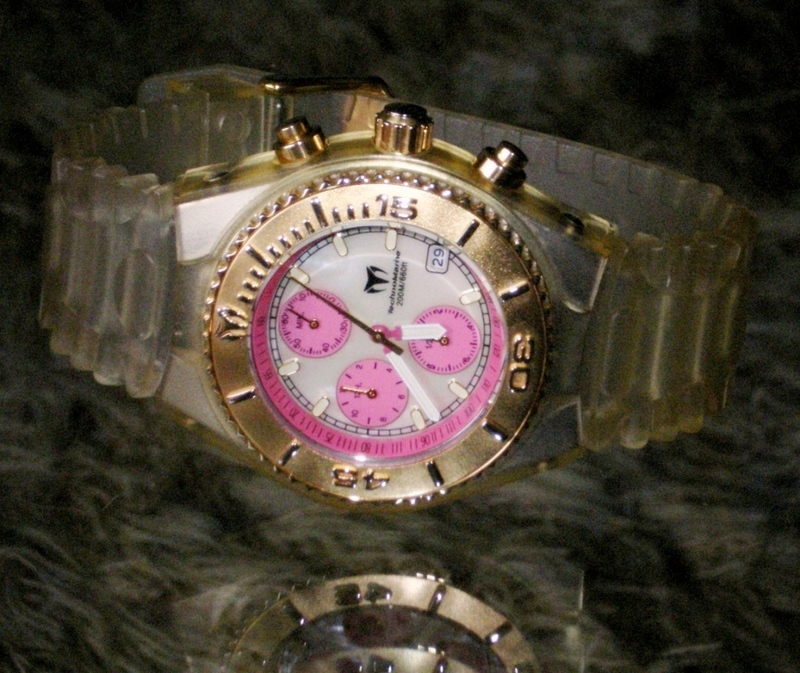 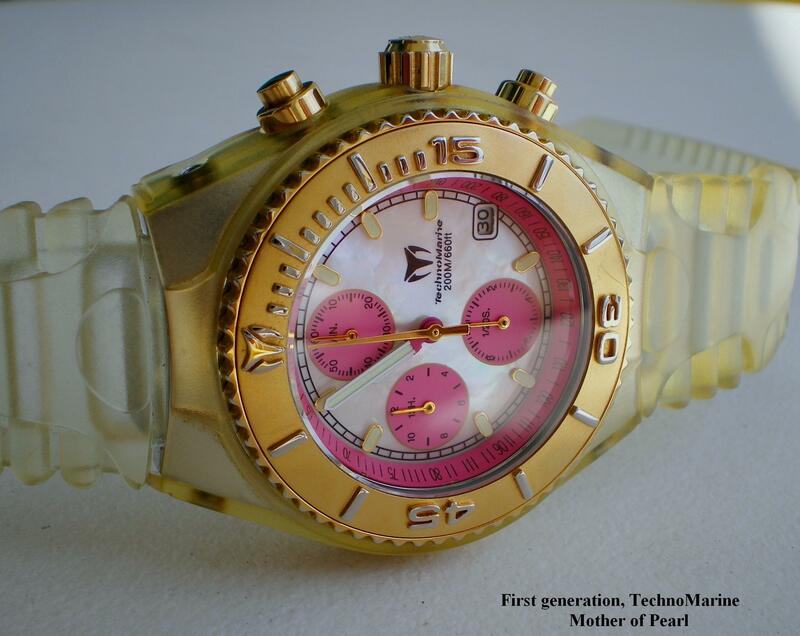 The watch shown here is powered by mechanical automatic movement. 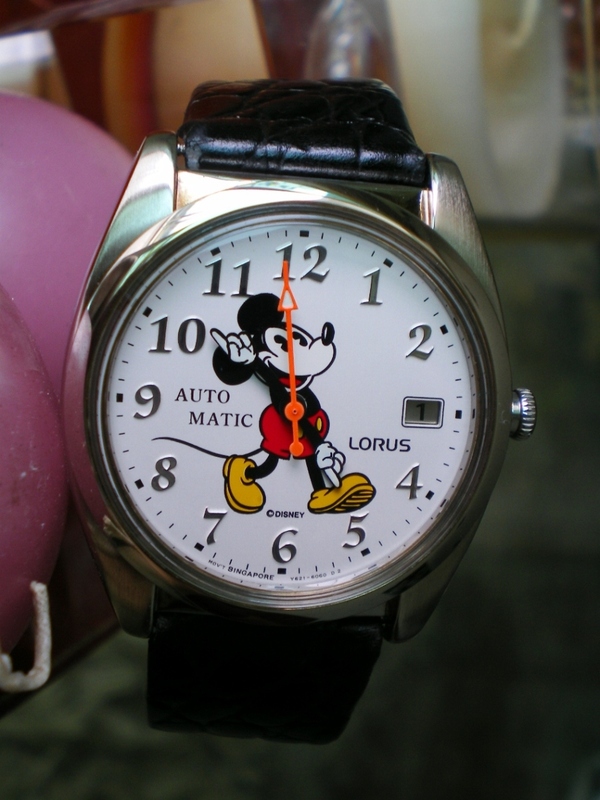 Most importantly the watch hour and minute hands are genuinely using the Micky arms.